Hey what’s up readers? I’ll be announcing today the winner of the book giveaway I held from November 9 until the 29th of November. First of all, I would like to thank all those who joined the giveaway and made it a success. It wouldn’t have amounted for nothing were it not for your participation. I have read and enjoyed every comment you guys wrote on my blogposts and Instagram posts. I want to make all those who participated and those who followed the rules be the winners but I only have one book to giveaway. 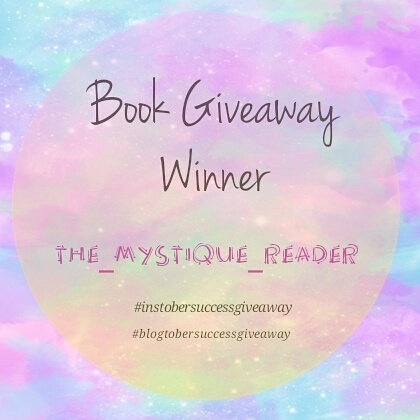 Blogtober and Instober Success Giveaway!